After Willa and I had some fun trying to catch pokemon at Hoi Sham Park at To Kwa Wan, we walked to find a spot for lunch. 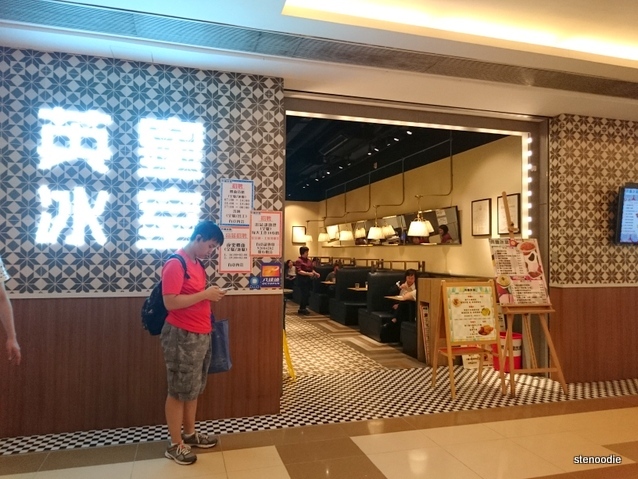 Unfortunately, the rustic Hong Kong style cafe that she wanted to bring me to was closed that day so we headed off to the closest shopping plaza (Grand Waterfront Plaza) and ate at Kings (H.K. 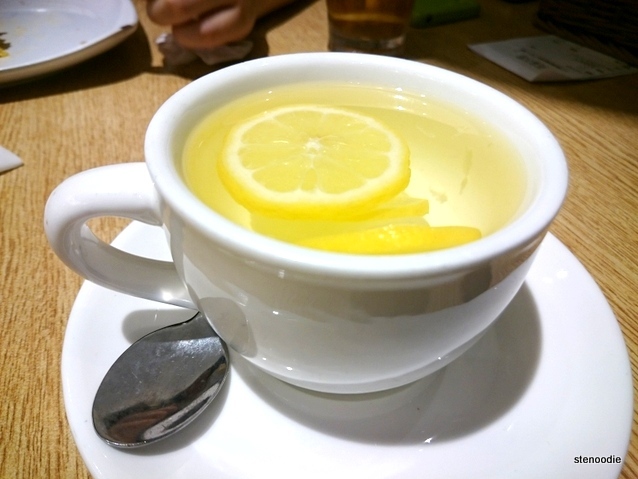 Style Café) instead. 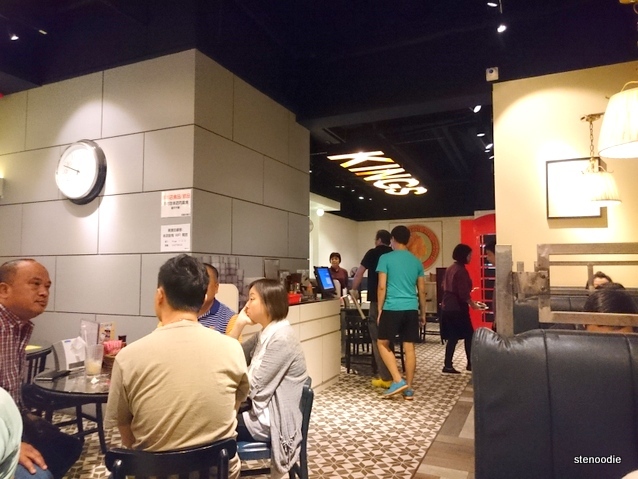 Hong Kong style cafés like to be called “ice boxes” 冰室 nowadays due to them being known as such places that only served teas and drinks before in the olden days (don’t quote me on this) so this one was called 英皇冰室 and properly translating to Kings Hong Kong Style Café. I believe that this restaurant used to be called Cafe De Ego because their menu cards still has that name on it. 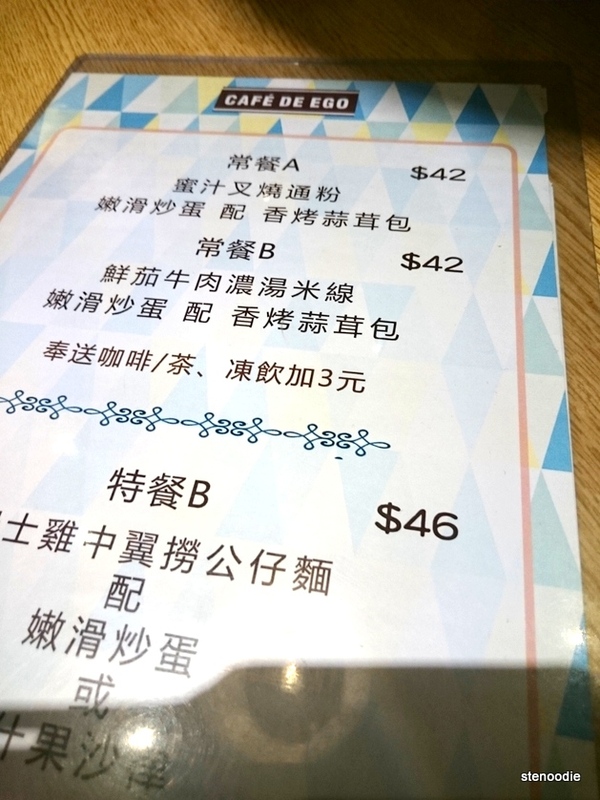 However, when I searched it up on Open Rice, it says that Cafe De Ego is closed. 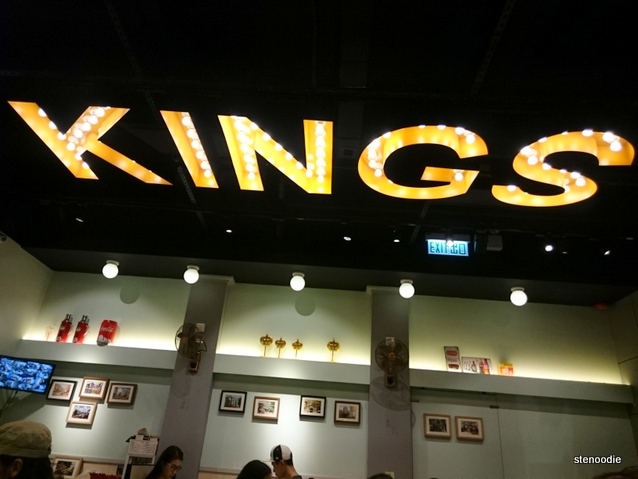 Thus, Kings must be their rather recent re-branded name. I don’t know what it is about Hong Kong but even their food tasted so much better than that of Toronto. 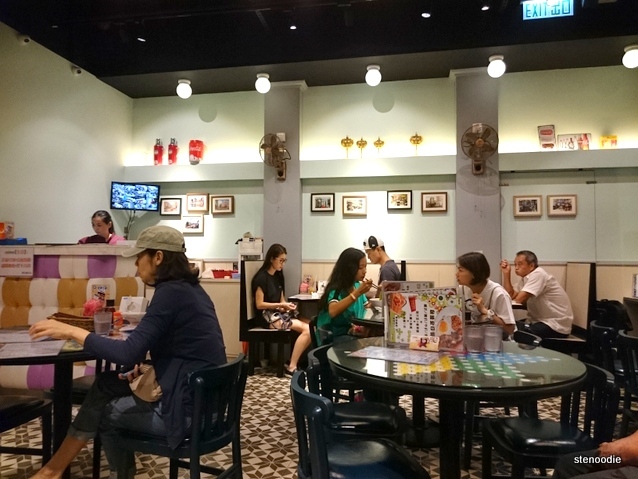 Even though we have plenty of Hong Kong style cafés in Markham, the ones in Hong Kong still can’t compare. The tables in the middle of the restaurant have some board games on it! 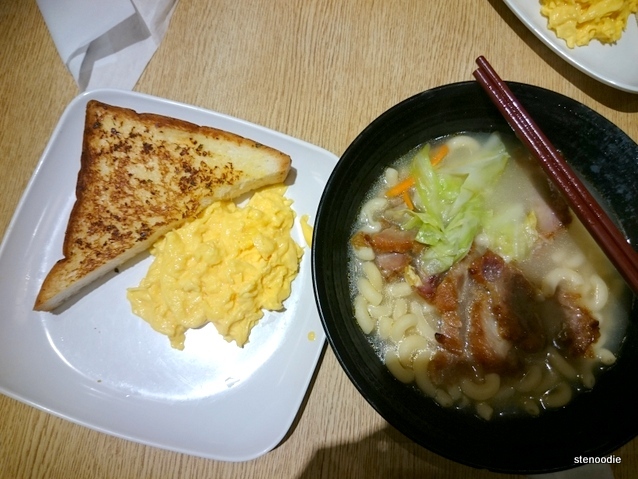 My A combo set included a BBQ pork in macaroni and soup, scrambled eggs, toast, and a drink. The BBQ pork was tender and delicious, the macaroni was great, the scrambled eggs perfectly runny and soft, the toast was great, and the drink was good too. 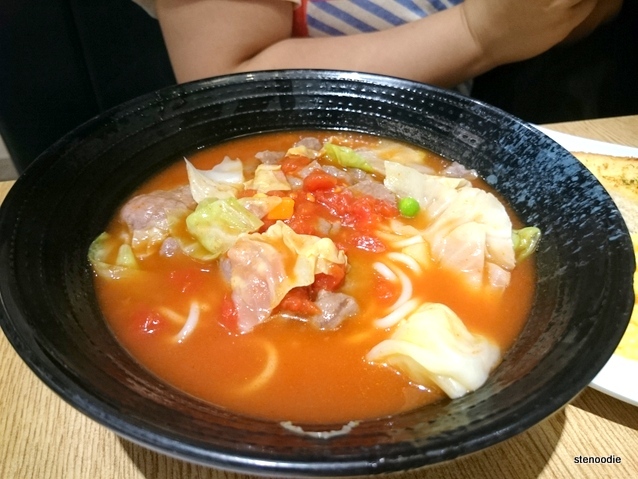 Such a simple meal for $42 HKD and so filling too! 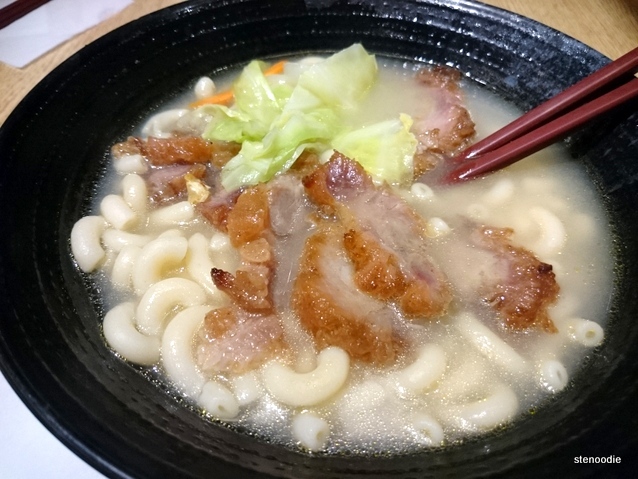 This entry was posted in Food and tagged 38 San Ma Tau Street, BBQ pork in macaroni and soup, Chinese, 英皇冰室, food blog, foodie, free wifi, Grand Waterfront, Grand Waterfront Plaza, Hong Kong, Hong Kong Style cafe, Kings (H.K. 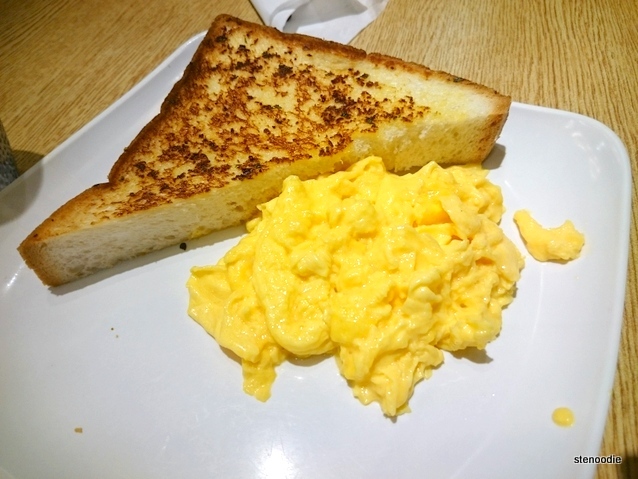 Style Café), Kings Hong Kong Style Café, restaurant review, Scrambled eggs and toast, Shop G07-08 G/F Grand Waterfront, To Kwa Wan, 土瓜灣, 土瓜灣新碼頭街38號翔龍灣廣場地下G07-08舖. Bookmark the permalink.